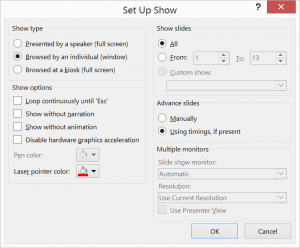 In fact, you can resize the PowerPoint window to any size you want. The window is excellent for comparing animation in 2 presentations, for example, because you can place 2 windows side-by-side. The next time you need access to multiple applications, try Reading View! Can you think of situations where this would be helpful to you? Leave a comment! And if you think others you know might find this post useful, please use the Share buttons below. Great tip. Have used Alt-Tab up until now. I have wanted to do that on numerous occasions. 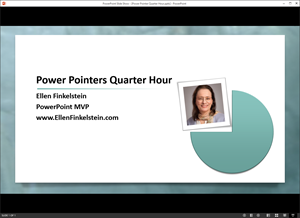 Can anyone see a way of showing Presenters View and slide show in two separate windows? At home it is easy as have 2 screens so can run through a presentation with Presenter View on one screen and Slide show on other. But when away and only have laptop I have not yet found a way of splitting the screen to see my notes in Presenters View, and the show. I thought this might be the answer, but can’t make it work! Can you? I have just upgraded to Office 2016. This might work for you Don. 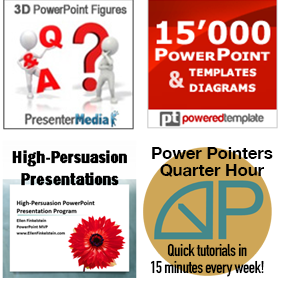 Ensure you have ticked the “use presenter view” box under the slide show tab. The other thing you need is for the monitor to be in “extend” mode instead of “duplicate”. If it is a PC, press “windows” button with the “p” button to get a pop up which allows you to click on “extend”. good luck. Super helpful tips! Thank you! This is a life saver for me!